Momtastic is excited to offer our Canadian readers an opportunity to win two tickets to see The BFG in 3D before it hits theatres for the viewing public on Canada Day! We’re giving away passes for the following advance The BFG Canada screenings in these cities: Toronto, Waterloo, Ottawa, Vancouver, Calgary, Edmonton, and Winnipeg. Check out the movie trailer now! Contest starts June 13th at 12:00am EST and closes on June 22nd at 5:00pm EST. 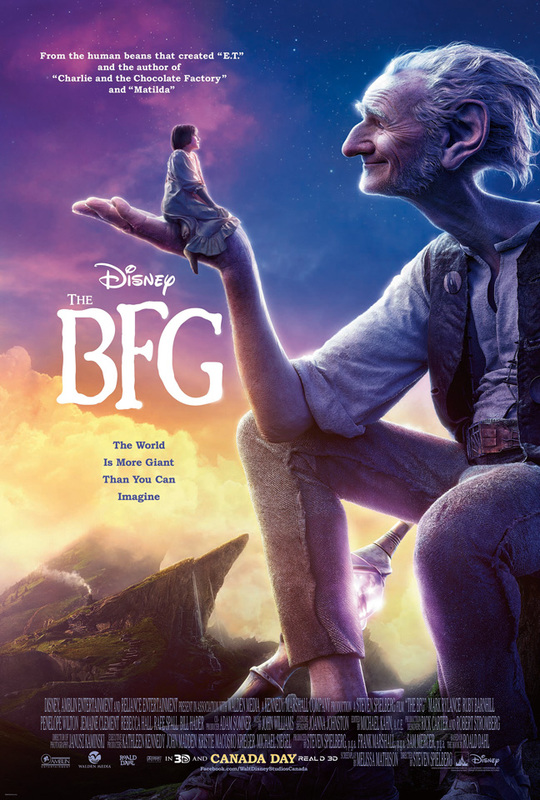 There is a chance to win one of 5 pairs (2 tickets) to the Pre-Screening of Disney’s The BFG on June 29 for each city – approximate retail value of $12.99 cdn. per ticket excluding taxes. Contest is open to residents of Canada only, excluding Quebec, who are 18 years of age or over.